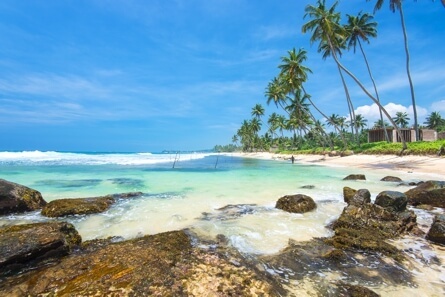 Sri Lanka has seen torrid times in recent decades, so to witness its ascent to a top luxury travel destination is great testament to the positivity and perseverance of its warm-hearted population. From civil war to tsunami, the island has weathered its storms, but this troubled history only adds to the mystique of a landscape that is rich with heritage. Blending colonialist cultures with the emergence of a progressive, outward looking government, there has been no better time to plan a trip to this magical destination. While one half of the island bathes in sub-tropical sunshine, the other half welcomes the monsoon so, when plotting your escape to paradise, be sure to check the climate. May to September brings rains to the south-west, meaning the enchanting landscapes of the east – renowned for its world-class waves and fascinating wildlife – lie at your fingertips. Then, come October, and the seasons switch. The north and east prepare for their drenching - lasting through until February - meaning it’s time to head south. The shoulder season of February to April is particularly popular as much of the island is accessible throughout these months. Arguably the most majestic aspect of this island nation: a rail-road that dates back to the 1800’s, when the British arrived and introduced an infrastructure to support their trade routes. Now a super low-cost means of travel, trips of up to eight hours set visitors back no more than a few hundred rupees, which is less than a coffee in most countries. Whether riding the train down the blissful west coast from Colombo to Galle, or taking on the tea plantations from Ella to Kandy (a route regularly touted as the most spectacular train ride in the world), there is a charm to the tracks that leaves most travellers smitten. 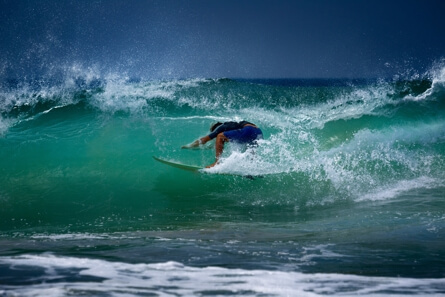 In truth, both halves of the island have their fair share of waves, but the south-west spots of Weligama and Hikkaduwa are some of the most consistent, with the little-known horseshoe bay of Hiriketiya an undiscovered gem. 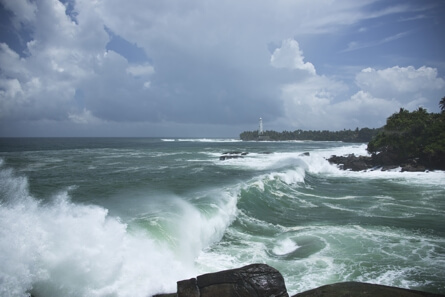 Famed for its waves as much as its fishing, the port of Mirissa is also the jumping off point for the famous blue whale watching tours – a must if ever in this part of the world. 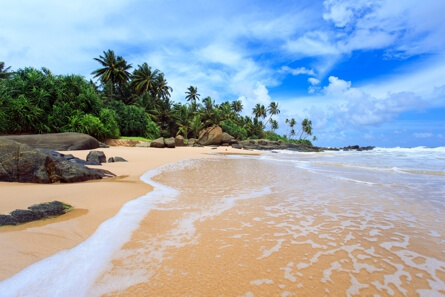 Added to these spectacles, the glamorous beachfront seafood destination of Unawatuna, or the colonialist labyrinth that is Galle, the entire south-west region is a backdrop to behold. 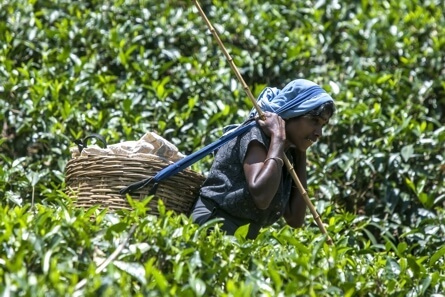 If for nothing else, Sri Lanka is known for its tea. It grows best at mid-level altitudes, meaning an ascent into the hills of the central regions to marvel at verdant plantations that dominate the landscape. 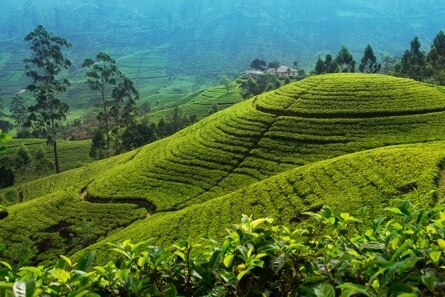 Take to Ella and relish a trek up little Adam’s Peak (or the more challenging Ella’s rock), then visit a tea factory and learn how your favourite blend is brought together. 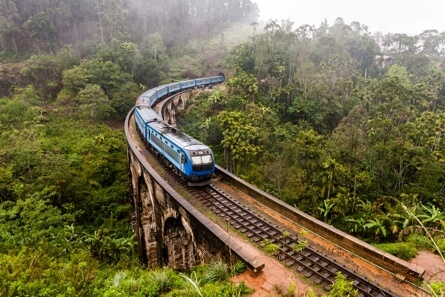 Walk the rails for the archetypal Sri Lankan experience – vivid imagery of travellers straddling the tracks atop Nine Arches Bridge is a classic view of Ceylon. 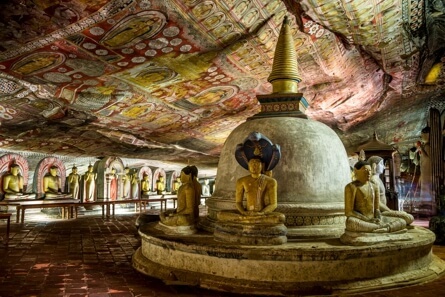 Whether taking on the vertiginous ascent up Sigiriya in the north, standing under the gaze of the enchanting Buddha in Kandy, or marvelling at the myriad Hindu shrines that are dotted around the country, the cultural diversity is astounding – yet the island maintains its welcoming aura no matter where you tread. For a nation that has endured so many growing pains, you will be amazed at the kindness of its population. Homestays are popular and an ideal way to learn about the history of your host-nation. 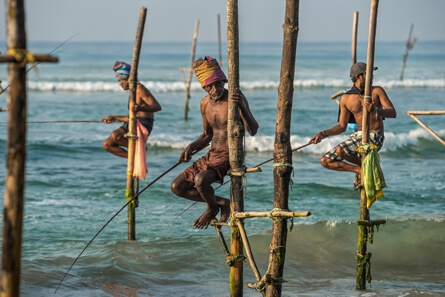 You’ll be blown away by stories regaled over breakfasts of fresh fruit, and gain a deep sense of admiration given the strength Sri Lanka now demonstrates. 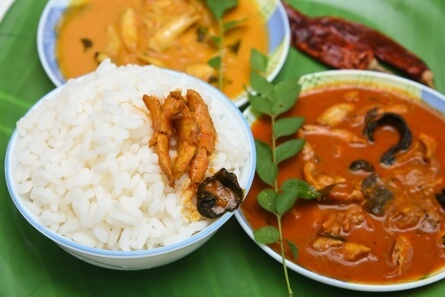 Sri Lankan cuisine offers more than this staple – in fact, it is arguably the most elegantly fragranced of any nation (cue uproar) – however, you must indulge the famous rice and curry at least a few times. Meat, fish or vegetable, expect multiple dishes of absolute beauty as each delivers an entirely unique eating experience (and a challenge in finishing the obligatory mountain of rice served to mop up the goods). 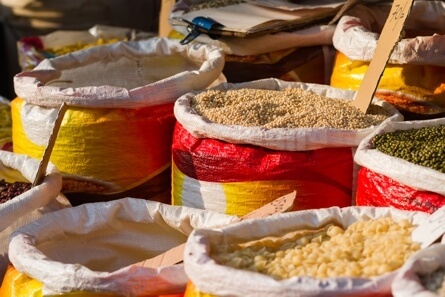 Alongside dosas, sambals, lamprais and hoppers, the diverse nature of Sri Lankan cuisine has travellers yearning for more, with every dish displaying an unexpected elegance and richly fragranced back-notes. 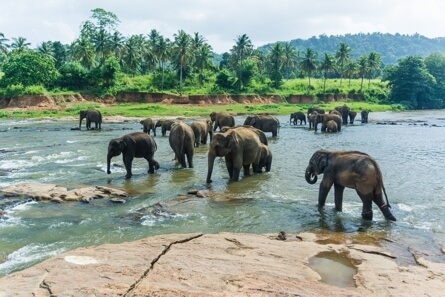 Despite its relatively small size, there is no shortage of wildlife on Sri Lanka. 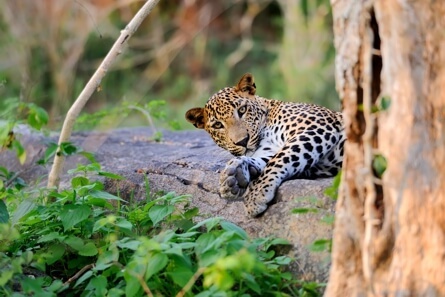 From elephants trekking across beaches in Arugam Bay, to leopards skulking through the bushes of Yalla, the island boasts one of the most biodiverse landscapes on the planet. So much so that many visits are purely for Sloth Bear-spotting, so if its animalistic madness you’re after, this could be your dream. Sri Lanka holds a special place in the heart of all those who visit, in no short order thanks to the friendliness of its population. Coupled with its outstanding cuisine, relatively small size and excellent accommodation thanks to the likes of Asia Villas, it has to rank among the most on-trend destinations of 2017. Our only advice? 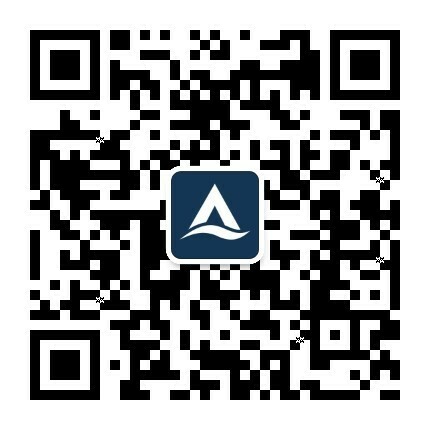 Go soon. The secret is out, and the hoards are hovering.